Happy New Year everyone and welcome to 2017! We hope you enjoyed a holiday season full of food, festivities, and quality time with family and friends. Now that the holidays have passed and the new year is here, many of us are looking forward to getting back into our regular work, eating, and fitness routines. Whether you have made a New Year’s resolution to be more active or you are just looking to get back into your regular fitness activities, Leduc has something for you! This month, we wanted to highlight our top six best ways to stay active outdoors in Leduc this winter! It’s time to lace up those skates and take advantage of Leduc’s 10 outdoor skating rinks this winter season. Whether you like to pass the puck around or simply enjoy a leisurely skate, Leduc has some options for you! For information, including a list of available outdoor rinks, click here. If you are into cross-country skiing or are looking to try it out, then you’re in luck! Leduc has over 6 km of cross-country skiing trails located at the Leduc Golf and Country Club. Click here for a link to the trail map. If you are looking for a way to enjoy the outdoors and give your furry friend some exercise at the same time, the off-leash dog park is a must! Located on the east side of William F. Lede Park, the K9 Off-Leash Dog Park is a fully-fenced space where your dog is free to run and play. If you are looking for another off-leash park option, the Barclay Off-Leash Dog Park is located in the industrial area at 3914 77 ave. Click here for more information on off-leash dog parks in Leduc! Telford Lake is a beautiful, scenic location to enjoy the great outdoors this winter. Be sure to check out the Leduc Motorsports Club and Alberta Endurance Ice Racing Association for information on their events at Telford Lake this winter. Click here for some history on Telford Lake and why it is a must-see for you this winter! 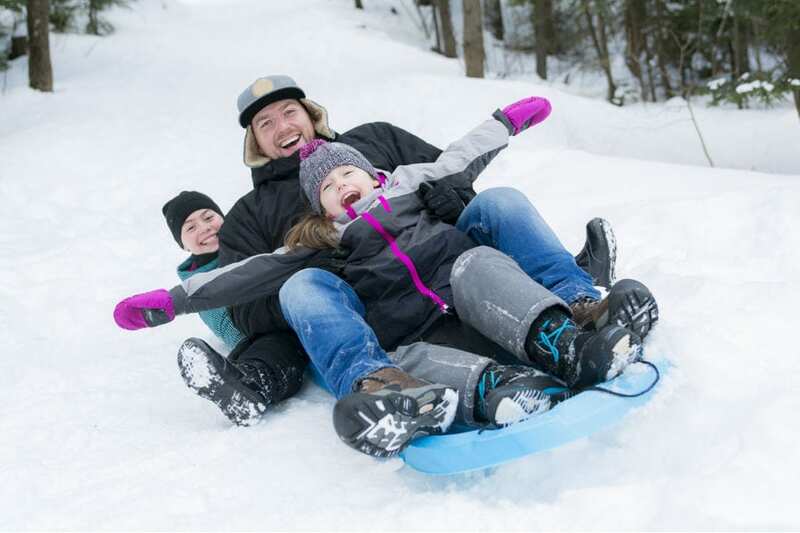 Toboganning is one of the most popular winter pastimes and is a great way to spend time with the family and get active outdoors this winter. Leduc has great toboganning hills at Aileen Faller, Corinthia, and Elks Community Parks; be sure to check them out! If you are a fan of walking or running outdoors in the wintertime, then you will be pleased to know that Leduc has over 60km of multiway trails for you to take advantage of. So whether you are looking for a quick jaunt or a longer stroll, Leduc has the perfect trail for you! Check out the trail map here to plan your route. If a new or old injury is preventing you from getting back to your favourite winter activities, call us today at (780) 980-5443 to book an appointment with one of our physiotherapists and get back to doing what you love! Cold Weather Running, Why You Should Start! Do You Have Any New Year’s Resolutions ? Jason MaGee discusses why IMS is extremely effective for acute and chronic pain. Cindy explains ROST therapy for pregnancy related pelvic pain.